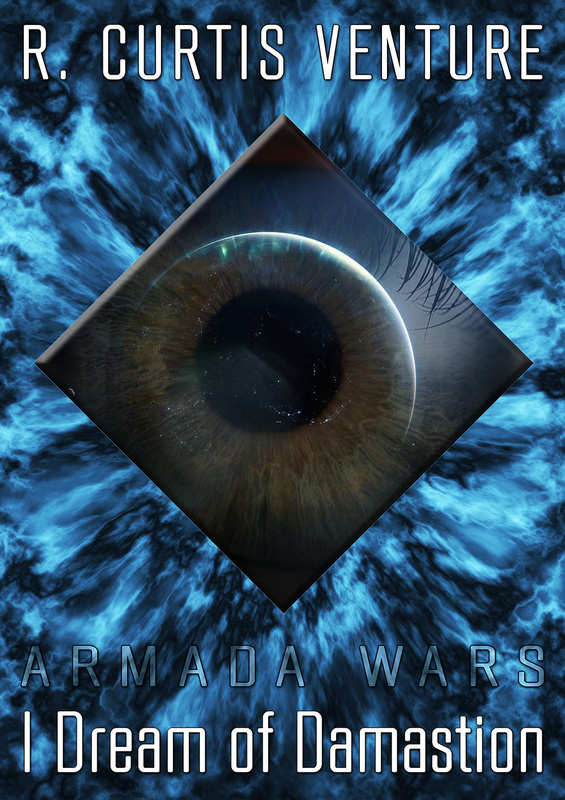 This section shows all available books in the Armada Wars universe. You can also view them in lists of novels, novellas, or omnibus editions. 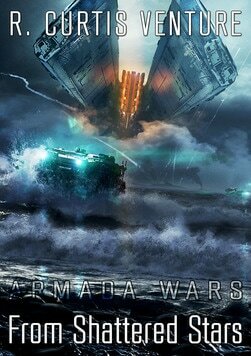 This section shows the Armada Wars books which are expected to arrive this year. 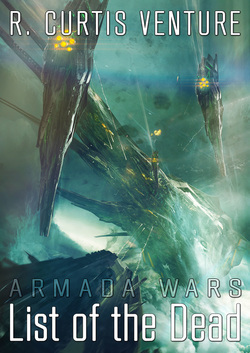 This section shows the Armada Wars books which have been gathered together into Omnibus collections. The first vacation-friendly, money saving omnibus edition — now available in Kindle eBook and paperback formats. The second vacation-friendly, money saving omnibus edition — coming soon, in Kindle eBook and paperback formats. The first of two war story novellas expanding The Ravening Deep. 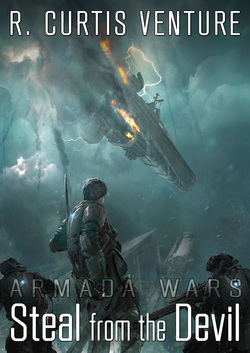 While the Imperial Navy struggles to fend off the overpowering might of the Shaeld Hrathan invasion force, and Elm Caden works to unravel the mystery of the Rasas, others throughout the galaxy are stumbling blindly into Voice's web of deceit. Striking a deal with the Navy, Reximillian Bel-Kenita has promised to assist them in solving their navigation problem. His price: safe passage home to Damastion. But Rex is about to find that these days 'safe' is a relative term. The second of two war story novellas expanding The Ravening Deep. On one of the Imperial Combine's minor colonial worlds, a sisterhood of women exists outside Imperial rule. Travelling at sub-light speeds, their ancestors arrived at their destination to find it colonised already by later generations. Tulian of the Thistle is a curious girl, and she wants to see the Pilgrimage for herself. But like her sisters, she has no idea that the many worlds of mankind are under siege. What lies ahead of her is a threat like nothing she can imagine. 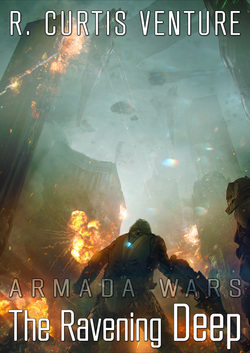 The first of two war story novellas which will expand the story of From Shattered Stars. Following a devastating, coordinated attack against their upper echelons, Eyes and Ears are in turmoil. The empire's intelligence and counter-espionage services have been thrown into absolute chaos. Marlay Saccar is merely a field agent without any rank. But she alone remains active on the surface of Palanda Ire, and she alone knows that Voice is planning something there which could end thousands of worlds. And her time is running out. 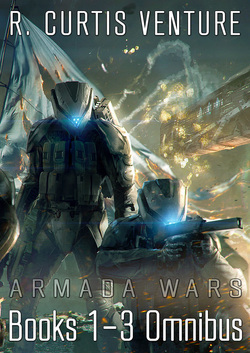 The second of two war story novellas which will expand the story of From Shattered Stars. On the inhospitable surface of Lapoma stands Forge Ruinous, a proud and mighty installation which has held its walls against countless assaults over centuries of Imperial rule. Buzzard Company's Third Platoon has been rotated away from the hellish Mattakavi offensive, and the aching Tankers are looking forward to some respite from the war. But something is not right at Forge Ruinous. It should be silent, and it is not.